A St. Louis County community is launching an effort to pay for massive renovation of a prominent landmark. The Kirkwood Train Station Foundation wants to bring in money to fix up the structure, which was originally built in 1893. The goal is to raise $3 million. “It is the main symbol of the city of Kirkwood,” Art McDonnell, foundation member and former mayor told St. Louis Public Radio. The list of work that needs to be done is extensive. It includes replacing the roof and tuckpointing the building. Kirkwood officials say there have been years where more than 540,000 visitors have gone through the station. “And then on the inside, we’re going to replace the baggage area with more bathrooms, which we definitely need because it’s a spot many people and pedestrians in Kirkwood use,” said McDonnell. Some window and stone work are also part of the list of renovations. The last major makeover of the building is believed to have taken place in the 1940s. The station is a link to the city’s origins. Engineer James P. Kirkwood had several directions to choose from in laying out rail tracks heading west in the 1800s. “Some of the developers who knew he was doing this said, 'Well, if you bring the rail lines through what is now Kirkwood, we'll name the town after you,'” said McDonnell. “And of course he did it." Today, the station serves as a centerpiece for many community events in the city of roughly 27,000. But it was almost boarded up more than a decade ago. Spending reductions by Amtrak had put the station on a list of potential closings. The city purchased the building and has operated the station with the help of volunteers since 2003. 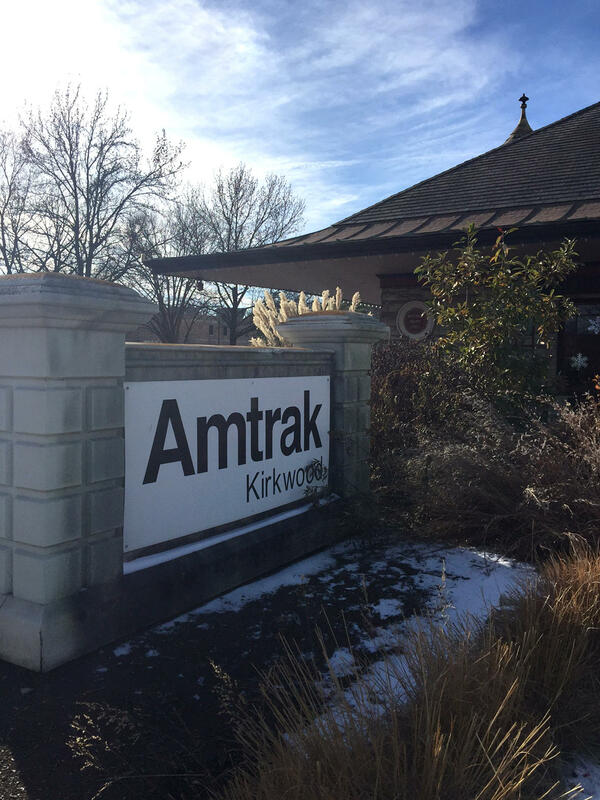 The acquisition maintained rail service in Kirkwood and appears to have been worthwhile for Amtrak. It’s the third-busiest train station in the state, behind St. Louis and Kansas City. This month, the train station tied for first place in a 2016 Amtrak customer satisfaction survey. Efforts to support the fundraising campaign are expected to go into high gear in February. “We have talked to a number of people who are train enthusiasts, who we feel might help us,” McDonnell said. He also expects people who board the train at the station along with area residents will help out.